Discover the Secret Psychology that Creates Champion Athletes! Are You Ready to Unlock Your Peak Potential? As a Gymnastics Coach- Improve Your Coaching Skills & Succeed More Often! As a Competitive Gymnast- Develop a Superior Mental Game & Perform Your Best! 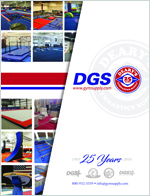 As a Gymnastics Parent- Provide the Support Your Child Athlete Needs! 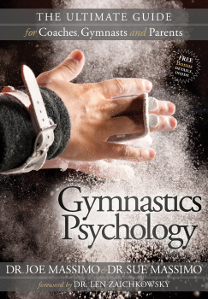 "Gymnastics Psychology" is a book that holds the Keys to Unlock Your Potential! Don't Let Another Season Go By- Get Your Copy Today! Drs. Joe Massimo and Sue Massimo, have over 100 combined years as gymnasts, coaches, judges, psychologists, and National & Olympic Team consultants and published over 100 articles in International Gymnast, Elite Gymnastics Journal, and Technique magazines. In the comprehensive 300-page resource guide, “Gymnastics Psychology” can unlock the secrets to develop the coaching skills, competitive behaviors, and parental support that are critical to your success. Learn from two of the very best! In reading about the psychology of gymnastics, rest assured that you are learning from two of the very best in the world of gymnastics psychology. 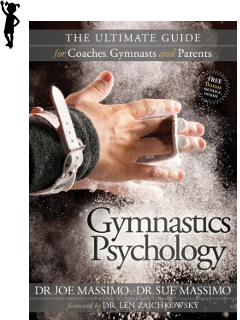 For my Competitive Team Parents, I recommend they read the articles in "Gymnastics Psychology: The Ultimate Guide for Coaches, Gymnasts, and Parents." The sections for parents in this book will help educate them as well as help me to be able to communicate with them better on certain issues. Doc Massimo- you have changed a generation of coaches. I thank you and hope you carry on. Many people have seen my lecture on "Coaches and Educators" and I am turning it into a book. I really should re-name it to, "Everything I learned from Doc."